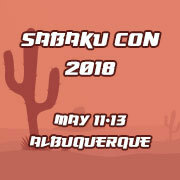 We are Albuquerque's premiere anime convention. We are always looking for suggestions or help. If you would like to contact us use our contact page and let us know your ideas. We are also looking for volunteers, so please check out or volunteer page as we have several staff positions still open for 2015.